Undoubtedly you’ve heard the clichés: An ounce of prevention is worth a pound of cure. A stitch in time saves nine. All things are easy to industry, all things difficult to sloth. These Ben Franklin proverbs remind us we’re better off in the long-run to nip any problems in the bud rather than deal with a mature, full-blown crisis. It’s clearly too late to do this with our national economy, but now’s the time to address the issues in our personal lives. Over the years here on our homestead, we’ve learned the hard way that it pays to do things right the first time. We’ve learned, for example, that it is absolutely useless to construct any cow-related structure out of anything less than 2x6’s. Anything less beefy is subject to kicking, straining, shaking, barging, or otherwise aggressive efforts on the part of the cows to get out of whatever it is you’re trying to keep them in, such as the barn, pen, stall, or chute. 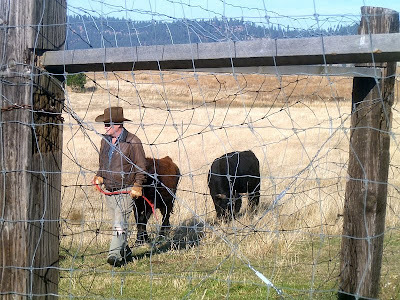 In other words, the amount of time it takes to forever get the cows back inside their fences far surpasses the amount of time it would have taken the build the fences soundly to begin with. In a nutshell, it often doesn’t pay to take shortcuts. How many of these “stitch in time” issues are you dealing with? Perhaps if you’d “stitched” more when your children were young and easier to train and discipline, you wouldn’t have adolescent rebellion issues right now. Perhaps if you’d “stitched” more loving relations with your spouse, you could have avoided divorce. Perhaps if you’d “stitched” food storage over a period of years, you wouldn’t be in a panic to make up for lost time now. Fortunately for many things, the situation is salvageable. You might have to take “nine stitches” instead of one, but that’s fine – just do it. To use another cliché, better late than never. Preparedness is much the same. Try not to compare yourself to other people whose preparedness efforts may be miles ahead of yours. Yes they may have “stitched” their food storage or medical cabinet early on, making you think it’s going to take nine stitches to catch up – but that’s not necessarily the case. Your more prepared friends had to start somewhere too. As of this writing, most or all of the things you need to be well-prepared (food, storage buckets, medical supplies, sanitation supplies, even firearms and ammunition) are easily available and relatively inexpensive. So you have no excuse to put off taking that stitch in time before it’s too late. If we have an economic collapse or loss of the power grid, it’s far too late to even take nine stitches. That’s why I urge people, if at all possible, to place themselves in the position they would like to be if the bleep hits the fan. If you suddenly think you’ll have a magnificent and fruitful post-bleep backyard garden, even though you’ve never gardened, what are you waiting for? Why not get started now and discover just how good or bad a gardener you are, and learn everything you can ahead of the curve? Why not take that stitch in time? It astounds me how many people think food production or firearms expertise or raising cattle are so easy that they won’t have any problems becoming an expert after the bleep hits the fan. But until then they won’t bother learning what they really should already know. But after nearly twenty years of homesteading with various degrees of success, I’ve found nearly everything requires a much steeper learning curve than I ever imagined. It also requires more supplies, more equipment, or more infrastructure than I thought possible. This all took time, money, and a willingness to learn – all of which could be in massively short supply if times get very hard. I’m far better taking my “stitches” now than frantically trying to catch up later. To expand the metaphor further, someone who wants to stitch an embroidery piece usually doesn’t wing it without a pattern. Smart stitchers outline their pattern in advance before applying needle to fabric. Same with your preparedness efforts. Better to outline your needs and desired skills in advance instead of just winging it. Outlines and patterns will guide you and help you apply your time, money, and efforts along intelligent lines rather than willy-nilly randomness. By preparing in advance of hard times, it amounts to prevention. Remember Ben's words: an ounce of prevention is better than a pound of cure. You are preventing yourself from becoming vulnerable to many of the hardships that will befall the unprepared. By following a pattern in your fabric of preparations, you’ll fill in the blanks with beautiful stitches of preparedness. Ol’ Ben would be proud. Very wise words! While the gardening and homesteading and other things with skill DO take time to learn (learning curve) storing a package of beans or rice does not and there is no time like the present (as you say). 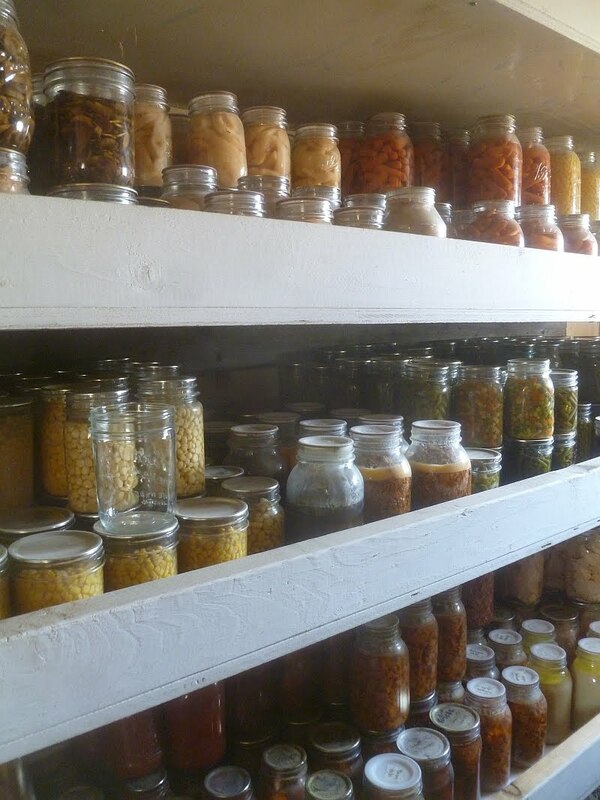 Storing food is not just for emergency issues, in our mind, it is what will see us through the "learning curve". 2x6 boards make the best fences. Especially for hogs. And...storing a package of rice or beans isn't enough. Knowing how to cook them into edible dishes helps! correct! however the point was to make a start at least. I certainly learned last year that even a small square-foot garden is not so simple to do...the birds managed to eat more tomatoes that I did (they even got under the bird netting), and the basil took over one 4x8 bed. I joked with my husband that maybe we could sell basil when hard times come! What people that have never raised livestock do not understand is how big of a factor weather can be in the success or failure of livestock enterprise. They don't know that the gentlest old cow is far stronger than a human and can easily trample them in a panic. 1. Opposites attract -- Birds of a feather flock together. 2. The early bird gets the worm -- Haste makes waste. 3. All good things come to him who waits -- A stitch in time saves nine. 4. Clothes make the man -- Don't judge a book by its cover. 5. Familiarity breeds contempt -- Home is where the heart is. 6. Great minds think alike -- Fools seldom differ. 7. Too many cooks spoil the broth -- Many hands make light work. 8. Early to bed, early to rise, makes a man healthy, wealthy and wise -- Eat drink and be merry for tomorrow we die. 9. Absence makes the heart grow fonder -- Out of sight, out of mind. 10. Fools rush in where angels fear to tread -- He who hesitates is lost. 11. The squeaky wheel gets the grease -- Silence is golden. Procrastination is a bad habit that I'm really fond of. A wise woman told me as I was growing up that sleeping in is the quickest road to poverty. On another note, the photo of the pantry makes me wonder, how many jars do you need for canning to be able to get by in a teotwawki sitiation? I know there are some people thinking that they don't have time now but will have time when the grid goes down and nobody has to go to work or take the kids to sports practice. They think if they just have the right books or read the right things on the net then they will be able to buckle down and get everything done in no time. I'm guilty of being one of them at times. But I know from the things that I have done is that they are not easy and you might have a fantastic book at your disposable but you will still need extra information. Plus, if you have done nothing but store food and left all your other plans until after TSHTF, there will be so MANY things that need doing straight away you will be totally overwhelmed and exhausted. Not to mention disenheartend which is even worse than being exhausted. Set aside time NOW. Little steps are fine, so long as it's a start. Here is an example for you. We have chickens, had them for about a year and a half. We've enjoyed many eggs and had chicks hatch and had some grow and most die. About 5 weeks ago they all went off the lay. I'm still trying to figure out why but when I do it will help me the next time it happens. If it was a grid down situation I would be totally lost with nothing to reference as to why. We would be relying on those eggs and the chicks that hatch as a large source of food. Having chickens now helps me learn while we're not relying so heavily on them. 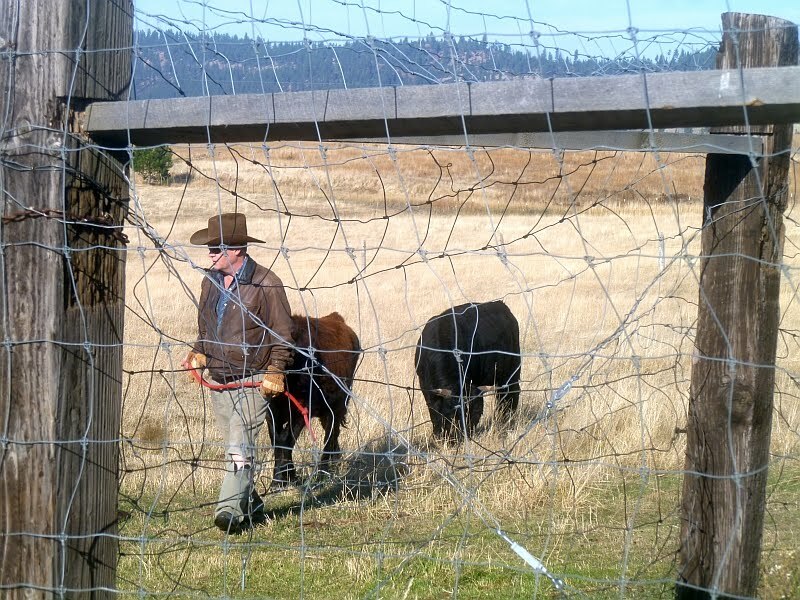 Similar problems crop up with gardens, alternative power sources and other livestock. I would rather deal with it now than after TSHTF when there will likely be other things that need my attention. Now is the time to get started, even on little things such as storing a couple extra cans of food a month that you would use on a regular basis. Even in an apartment people can do little things. The other day i was looking on Craigslist,& there was an ad saying that he makes indoor kitchen gardens. It was a very good idea, of canning jars on a 2x6 piece of wood, just like you would hang up pictures or other decor. I myself, wishing that I knew how to home can more foods. I have canned some things, like peaches, pears, green beans, carrots, & tomatoes. However i would like to learn a little more on how to use a pressure cooker & a pressure canner.